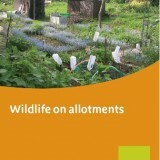 Although the primary purpose of allotment sites is to grow food they offer many other benefits and their contribution to supporting wildlife in urban areas is significant. They form some of the best habitat mosaics and wildlife corridors, often linking up with parks, tracks, hedgerows, churchyards and rivers. Plot-holders can help to support wildlife and ensure a balanced eco-system that will reduce pests and diseases and increase productivity by following some simple steps. Allotment sites can make communal efforts to be wildlife friendly by managing hedges appropriately and setting aside un-mown grassy areas to nurture insects and amphibians; a patch of nettles will provide both plant food and a breeding area for butterflies. Orchard areas managed in a traditional way provide potential breeding sites for many different species of wildlife. Click here to read about the importance of Pollinators to your plot. Citizen Science, allotment holders are also very well placed to take part in the many citizen science projects taking place, contributing to an increased knowledge of how the eco-system works and its importance to human life. Here are a few projects that you may like to be involved with. The Earthworm Society of Britain - Earthworm Identification, Blogs, National Earthworm Recording Scheme, Recording Scheme Handbook. RSPB Swift Survey - swifts are in trouble and we need to help them survive by providing nesting sites. Team Pollin-ATE- Scientists at the University of Sussex are looking for allotment growers in Brighton to volunteer to become 'Citizen Scientists' and help us learn more about which insects are pollinating the food you grow. 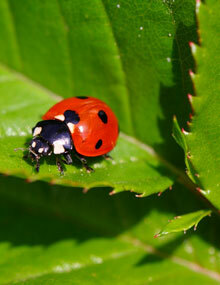 The Wildlife Gardening Forum website has a useful overview of garden science and ecology.